In ancient THERA, 3.700 years before tha art of mekeup and grooming of women was developed. 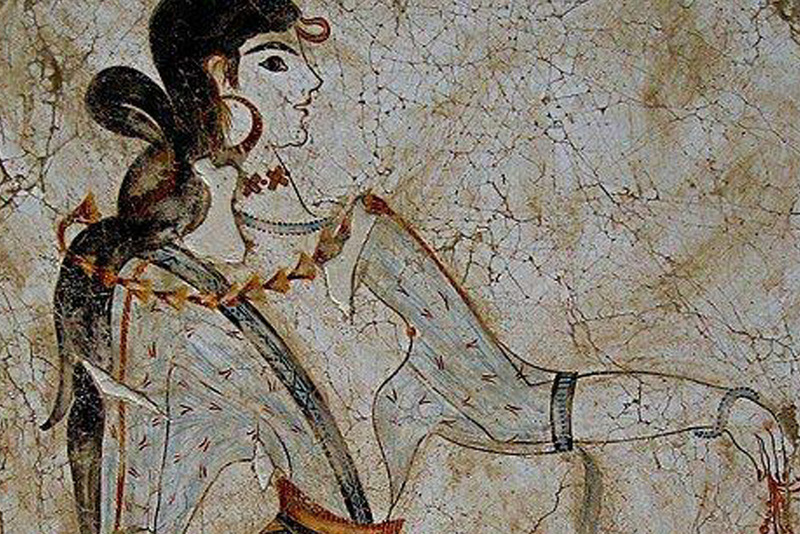 Excavations made in the prehistoric town of Akrotiri Santorini, brought to light valuable frescoes that represent women with painted lips, brush on face, eyeliner, even painted fingernails and groomed hair. Women took rocks from the volcano, pulverized them and then used that volcano poweder to create cosmetics. Now is our chance to revive history and feel in body and face something from that era. The complete line of cometics "Santorini Volcano Beauty Products" from lava extracts, for face and body, gives you a sense of the power of the volcano.